How long can keep toner cartridges without use inside the printer? Best printer for refilling carts? 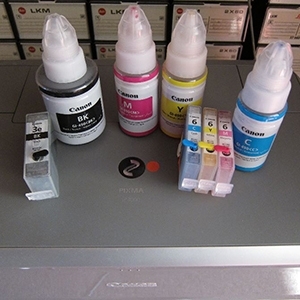 How much pigment does contain the inks?